Voice communications on the Xbox 360 have always sounded a bit fuzzy, but Microsoft promises that will change with the Xbox One. Improved voice quality is something Microsoft has been promising since the beginning, and now Microsoft Director of Programming Larry Hryb (a.k.a. Major Nelson) has illuminated exactly how it plans to accomplish that. "Thanks to integration with Skype's audio codec…as well as dedicated audio processing (for Xbox One conversations via Skype and multiplayer party chats), Xbox One offers higher quality voice chat with the Xbox One Chat Headset compared to Xbox 360," Hryb wrote today in an Xbox Wire post. He said the Xbox One controller's audio port features improved data transfer speeds, enabling "crystal-clear digital audio." Microsoft originally intended not to include a headset with Xbox One consoles, but later backtracked. Now an Xbox One Chat Headset is bundled in every box. 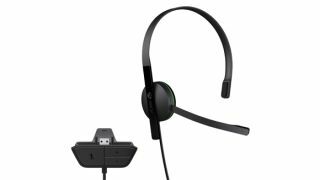 Hryb explained today that the headset both captures and renders speech at 24 KHz PCM, which is reportedly triple the render rate and half the capture rate of the Xbox 360 headset. The Xbox Wire post included a side-by-side example audio clip of the quality on the old console versus the new. We haven't heard too many gamers on Xbox Live uttering phrases like "She sells seashells by the sea shore," but there does appear to be a significant improvement in sound quality on the new hardware. Microsoft isn't the only one talking up its audio hardware - last month Sony's chief PS4 architect Mark Cerny told Digital Foundry that the new PlayStation console has dedicated audio processing hardware. "The principal thing that it does is that it compresses and decompresses audio streams, various formats," Cerny said. "So some of that is for the games - you'll have many, many audio streams in MP3 or another format and the hardware will take care of that for you. Or, on the system side for example, audio chat - the compression and decompression of that." The PlayStation 4 also includes a wired voice chat headset in the box. Hopefully, we'll learn more about the PS4's voice chat capabilities as its Nov. 15 launch approaches. Don't miss TechRadar's hands-on PS4 review and Xbox One review for the full scoop on both consoles!